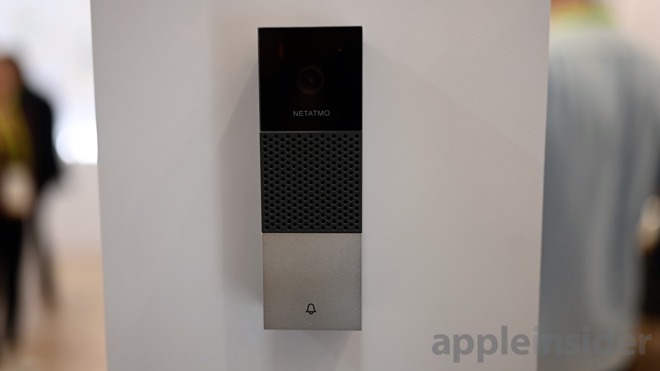 HomeKit doorbell cameras have been a bit of a unicorn, until CES 2019 where we finally started to see some appear. The one from Netatmo is among the first, with a sleek and stylish design. It is fairly minimal and one of the smaller around. The top encases the wide angle lens as well as IR and a status light. Below is a grille for the speaker and mic, all sitting above the brushed aluminum doorbell button. It has person detection to only alert you of relevant motion, not triggering by moving trees or cars. Our brief time testing it out showed very little lag between the doorbell itself, and the live video in the Netatmo app. Like some others, Netatmo is also supporting a device replacement program. If the doorbell is ever stolen, simply file a police report and Netatmo will replace the device. Using HomeKit, you can create scenes and automation rules around both the motion, as well as the button press. For example, when someone appears at your door, you can automatically turn on your outdoor Hue lights. Yes - I will be purchasing a Homekit Enabled Video Doorbell. My question is whether this, and other HomeKit devices contain what is supposed to be an Apple security encryption chip. This is supposed to be why HomeKit devices cost more than others, none of which have a comparable chip for security. is this still true? Do all HomeKit devices contain Apple’s chip, or is this something that gone away. I read that a number I’d devices out, and coming out, are not yet compatible with HomeKit, though they are with Alexa, and others, but will have HomeKit in a few months. If so, do they contr]sin the chip, but the software isn’t yet ready, or do they not contain the chip, and Apple has given up on it? If so, that’s very disappointing, because, as we all know, IoT is very subject to malware and break-ins. I don’t want to by a doorbell or lock system without significant security built into it. Does this doorbell require a subscription or connecting to some service provided by Netatmo? Apple did relax the requirements so a physical chip is no longer required for authentication. Apple now has a software implementation to allow authentication. The main difference is the MFi chip had a hard-coded ID and no two chips were the same. Now when a HomeKit device is first paired a connection is made to Apple servers and a unique ID is assigned. Everything is still encrypted and you should feel confident that HomeKit is extremely secure (esp compared to other systems out there). There's some good information on HomeKit in the iOS security whitepaper. Basically HomeKit falls right in line with how Apple views security/privacy. No. It has a built-in SD card reader that you can install up to 32 GB SD card in. Additionally, it can save footage to Dropbox and to an FTP server. There is no pay-for cloud storage offered by Netatmo. This is a horrible company, with defective products, and horrible customer service -- in my experience with them. I ordered all three of their original products -- the indoor/outdoor thermostat, the rain gauge, and the wind speed monitor. The thermostat worked fine for a year, then the waterproof outdoor sensor leaked. The rain gauge never worked after hours spent on the phone with Netatmo, and the wind gauge never worked out of the box. Netatmo refused to replace any of them, or acknowledge they had any fault. The continually blamed the malfunctioning products on user error. Maybe your milage varies, but I will never buy another Netatmo product. That’s odd, because my experience with Netatmo has been quite the opposite. Their products have worked so flawlessly and been so rock-solid for me that I look forward to each new product they announce. I hope to get this one as soon as I can! Same here. My Netatmo weather devices have been just fine except for an outdoor temperature sensor that got damaged by leaky batteries. FYI don't buy Kirkland batteries from Costco. They will absolutely leak all over your devices. I have switched everything I can to Eneloops. Notably, none of the Netatmo devices will accept rechargeable batteries. Not sure why or how, but I could never get any of the units to work on Eneloops or other NiMH batteries. 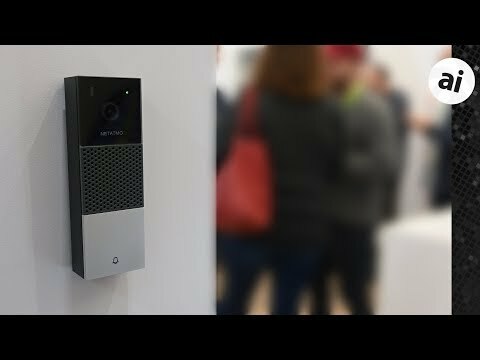 This doorbell cam looks good and has features I like. Particularly no subscription required. Probably because NiMH batteries have slightly lower voltage than alkalines. BTW, lithium primary (i.e. non-rechargeable) cells have a slightly higher voltage. For most applications, any of the three will work, but some devices don't like the other cells, especially NiMH.